(Scroll to the end of the article for the locations and theaters). This is a Cheeky, Raucous, Irreverent film that will make most warm-blooded mammals laugh from the first scene, until the last! It is brilliant for a summer night out! 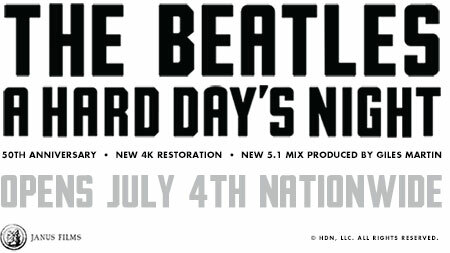 If you are a film or music fan, you most likely have already seen “A Hard Day’s Night” before, however, make a summertime date with the famous Fab Four, and see it again on the big screen, with the new restoration, at an art house cinema, and you really can’t go wrong. 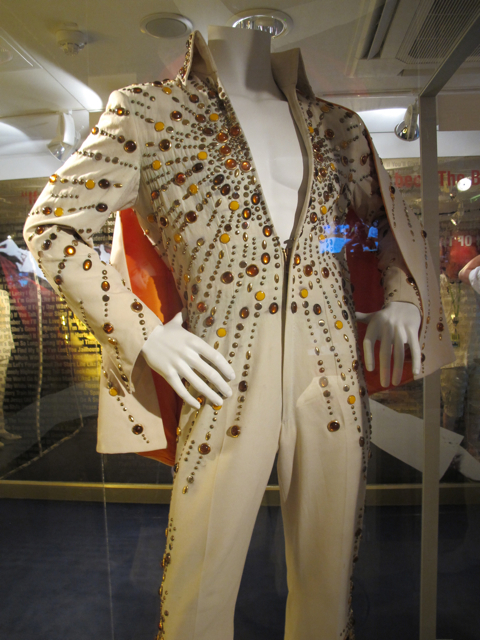 It is necessary to give accolades to the King of Rock and Roll, Elvis Presley, because, “if it weren’t for Elvis, there would never have been any Beatles.” John Lennon had admitted, that from the moment he first learned about Elvis and saw all the attention that he was receiving, he wanted to be just like him. So although, there is no denying that the Beatles changed music forever, it was really ELVIS who was the King of their inspiration. For those who have not seen “A Hard Day’s Night” before, the Beatles had already been a popular recording act, with several Top 20 hits in the U.K., when they arrived in NYC to perform on the Ed Sullivan show on February 7, 1964. A record breaking 73 million viewers tuned in, and the British invasion began. One month later, across the pond, the film was in the works. The music lover and film producer, Walter Shenson, was brought on by United Artists. Shenson, who had previously worked with Director, Richard Lester, on “The Mouse on the Moon,” mentioned the gist of the project, and Richard jumped at the opportunity. However, to receive the final green light, the film had to be true to the way the Beatles actually lived, and scriptwriter, Alun Owen, who wrote the television play, “No Trams to Lime Street,” which depicted Liverpool, was chosen. The film begins with the song “A Hard Day’s Night” playing while the Fab Four are running through town trying to make it to the train station on time before their train departs. Once on board, they start a conversation with an older gentleman, who Paul comments, is his grandfather. John is cheekily trying to snort a Coke (Coca-Cola) bottle up his nose in the background, and a business man wants the train car his way demanding that the windows be closed shut. The laughs just continue from there on out, when the boys are flirting with girls, and the grandfather cunningly tells the young women that the boys are really prisoners. An acoustic version of “I Should Have Known Better” is being played on the train. The result, the bandmates play brilliant, clever, crafty, and smart-alicky versions of themselves. Recorded at EMI Studios in Abbey Road, London, they cut “Can’t Buy Me Love,” “And I Love Her,” “I Should Have Known Better,” “Tell Me Why,” “If I Fell,” and “I’m Happy Just to Dance with You,” in only three days. You are currently viewing the archives for June, 2014 at One World Cinema.